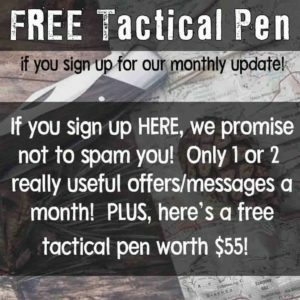 Are you interested in Arkansas knife laws? 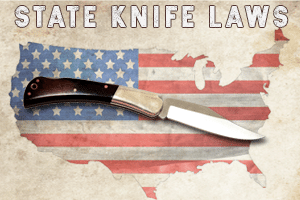 Unlike other states, Arkansas repealed archaic knife laws in 2011. 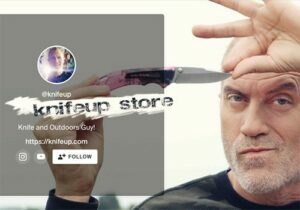 It is now one of the most friendly state for knives. 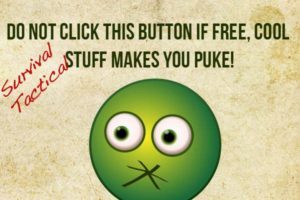 Some websites on the Internet have not been updated so they are out of date. This article was written in 2013. (3) (A) “Knife” means any bladed hand instrument that is capable of inflicting serious physical injury or death by cutting or stabbing. (B) “Knife” includes a dirk, sword or spear in a cane, razor, ice pick, throwing star, switchblade, and butterfly knife. What this means is that, as long as you do not have the intent to stab someone, it is legal to carry any knife. There are no outlawed knives in Arkansas, so you can own any knife you want. 5-73-121. (a) A person who carries a knife as a weapon, except when upon a journey or upon his own premises, shall be punished as provided by section 5-73- 123(b). (b) If a person carries a knife with a blade 3-1/2 inches long or longer, this fact shall be prima facie proof that the knife is carried as a weapon. In 2011 Arkansas legislature repealed civil code 5-73-121. The code is stated above. 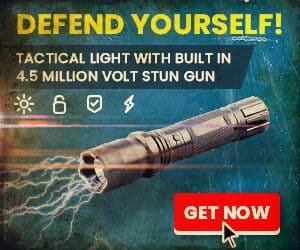 What the old law meant was that, if the police found a knife that was over 3.5 inches long on you, that is evidence in itself that you are carrying it as a weapon. The law is very, very old. It dated back to when Bowie knives were popular and people often dueled with them. The State of Arkansas wanted to stop this behavior and made Bowie knives any any knife over 3.5 inches illegal. Now, because of the repeal, Arkansas has one of the best knife laws in the US. You can own any type of knife you want and carry it in any manner you want. You can read about the repeal here. In Arkansas, any knife is legal as long as you are not committing a crime. This beats other states who still have Bowie knife laws in place. Please be aware that this is not legal advice. If you want real legal advice, talk to an attorney in Arkansas. If you have a comment, place it in the comment box below. We are also looking for an attorney in Arkansas who would be willing to do a short interview about knife laws. If you are under 18, can you carry a knife that is over 3 inches? The way I read the law, in Arkansas, your intent is more important than your age or whether your knife is concealed or not. Be very careful what you are doing and where you are when you have a knife. If it looks like you could be up to no good, you could be charged by Police. That’s at least a partial answer! I have an employee who is a reformed felon..(seriously reformed, or else she wouldn’t be my employee). Is there any restriction on her carrying a knife? She knows she’ll never be legally capable of carrying a firearm, but wants some level of personal defense because she opens my store while it’s still dark outside and she’s alone at this time. to a person who has been found guilty of or who has pleaded guilty or nolo contendere to a felony. (c) Furnishing a handgun or a prohibited weapon to a felon is a Class B felony. I recently purchased sling shot rubber bands at Dicks and they had to have my drivers license before i could purchase them. I’m 61 years old. THEY Sure named that place right. I had also purchased 2 kayaks at that time dropped $700.00 in there to have them pull that stunt on me. I’ll never spend another dime in that joint. Can i carry my sword to a friends house, it has no edge and is above 3 feet long. Depends where you are and how big the knife is. If you live in a big city I wouldn’t carry a knife with a blade over 9 1/2 inches, but that’s pushing it a lot due to idiots of our society who think every kid with a knife is a murder in the making. Basically all I’m saying (according to the law as well) as long as it isn’t a machete or bigger you should be ok as long as you have a parent or guardian backing you up. If I were you I would just stick to a switchblade or something that will fit in your pocket. (I’ve carried since I was twelve and never had any issues). Hope this helped! uncle steve is that you? Please join our Facebook group for more information on Act 746. Ive read the comments about Act 746 but im not clear Is it legal to carry a handgun without a permit if my inent is to protect myself? is it legal to carry a butterfly knife in arkansas? what is the official length of a blade that one can carry? 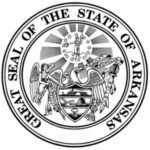 Arkansas just got even better, when Act 746 of 2013 became effective on August 16. “Unlawfully employ”, not just “employ”. Carrying any of the above items for the lawful purpose of self defense, is no longer a crime in Arkansas. It is legal, but it also leaves you up to interpretation. If an officer stops you and sees the outline, he may interpret the weapon under the t-shirt as intent to hide the weapon to use to harm another person. This one SEEMS to be a law written to tack on another charge to a person who attempts to attack another. BUT in reality, if you do attack another, then it’s clear evidence that you were intentionally carrying the knife to harm another and therefore were illegally carrying a weapon. I guess you could call it an ‘after-the-fact’ law – you can only actually prove intent by the fact that you already actually did what you are charged with. According to what is written here, clear legality only appears in Arkansas after an attack with a knife has occurred. A pretty good idea – the law doesn’t read minds. Is it illegal for me to wear my 4.4″ fixed blade in sheath on belt with my t-shirt out and covering entire knife and sheath?